Cocaine is an extremely addictive stimulant that creates a sense of euphoria and increased energy in people who use it. Though cocaine feels like an energy giver, it is clearly not. The high of this drug tends to be for a short duration, so it is mostly used in a binge pattern, i.e. used often, repeatedly and in larger doses frequently over a short period of time. Cocaine use results in people having many problems including heart failure and sudden death with either increase in the heart rate or by narrowing of blood vessels. Use of Cocaine in any form or any way is a risk in any situation. Common methods of use are injecting (“shooting”) the drug into the bloodstream, smoking the cocaine in crack form and inhaling cocaine through nostrils, also called snorting cocaine. The high from snorting cocaine lasts longer than other methods and its effect lasts for approximately 15-30 minutes compared to 5 to 10 minutes from shooting the drug. Even users who only occasionally use cocaine are in danger of losing their sense of smell with nosebleeds and could also experience troubled swallowing. The infamous cocaine high causes changes in the brain. The areas of the brain that are related to pleasure and reward undergo a change because receptors in those areas become desensitized to the constantly elevated amounts of dopamine that cocaine can produce. These gradual changes in dopamine receptor sensitivity can result in a failure to send adequate signals of pleasure and reward compared to the time before cocaine abuse. 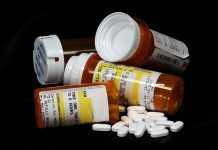 The high also begins to change and many long-term users find that the negative experiences of the drug itself progresses as their addiction takes hold. Some effects may include anxiety as and when the abusers use the substance along with other effects like lack of muscle control and its problems which become more prominent with longer use of the substance. Another major long term consequences with prolonged cocaine use is users experiencing less flow in the digestive system, resulting in bowel gangrene. Ones who inject cocaine run the risk of puncture scars infections, allergic reactions, contracting diseases like HIV and Hepatitis C.
Interestingly, research has proved that those who snort cocaine tend to be easier to treat than those who smoke it. Also, snorting cocaine has the potential to harm any body part that it comes in contact with, due to its ability to irritate and damage the sensitive tissue, especially in the nasal cavity and throat. Many also suffer from bloody, runny and stuffy nose. The long term use of cocaine leads to tissue erosion, nasal septal perforation and other inflammations in the air passages. 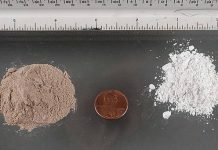 Short term effects of cocaine appear immediately after a single dose and disappear in minutes or an hour at the maximum. It begins with euphoria, energy rise, talkativeness, mental alertness, hyper-sensitivity to slightest sight, sound or touch and makes one lower their need for food and sleep. Some of them even believe that cocaine allows them to perform their day-to-day chores quickly, though it may be far from the truth. Duration of a cocaine high in the body depends on the mode of administration. The faster the drug is absorbed, the more intense the high is, but for a shorter duration. Snorting cocaine produces a slow onset of high, which lasts for 15 to 30 minutes. In contrast, the high from the smoking cocaine is immediate but lasts for 5 to 10 minutes only. It appears snorting not only gave a longer high, those who snort have also been noted to be easier to treat. These include blood vessels constriction; dilated pupils; increased body temperature; increased heart rate, and increased blood pressure. The greater the cocaine intake, the higher the user’s high; however, it can also lead to bizarre, erratic and violent behavior. Some users complain of feeling irritable, anxious, paranoia, restlessness and panicky. Cocaine users also report experiencing tremors, vertigo and muscle twitching. Disturbed heart rates/rhythm and heart attack are also possible. Neurological side-effects include severe headaches, seizures, strokes and even coma. Some cocaine users also complain of gastrointestinal complications include pain in the abdomen along with associated nausea. Rare instances of death after first use of cocaine and unexpected death in long term addicts have also been reported. Most often, cocaine-related deaths are from cardiac arrest or seizures. Many cocaine abusers combine alcohol with this drug, a dangerous combination. The two substances together produce cocaethylene, which increases the toxic effect of cocaine and alcohol on the heart. Likewise, combination of cocaine and heroin is also equally dangerous. Users use these in combination, because stimulating effect of cocaine are offset by sedating effects of heroin. Users thus don’t realize that they are overdosing and keep taking higher doses very often. Cocaine’s effect wears out soon but then the lingering heroin overdose could result in slowing down or even stopping of the person’s respiratory system, with fatal consequences. Use of cocaine over a longer period of time results in the users’ brain to start adapting to the reward pathway and becoming less sensitive to natural reinforcements. At the same time, circuits involved in stress become increasingly sensitive leading to increased displeasure and moods swings when not taking the drug, which are common withdrawal symptoms. This effect makes the user focus on drug instead of food, relationships or other natural rewards. Tolerance develops when high doses are taken or even in increased frequency, and often times, both are needed to produce the same level of pleasure and relief from withdrawal experience. Addicts take cocaine in binges, a process where cocaine is used repeatedly and at increasingly higher doses. At the same time, users can develop sensitization, as a result of which even lesser quantities of cocaine intake can produce anxiety, convulsions or other toxic effects. Higher doses actually lead to increased irritability, restlessness, panic attacks, paranoia and even full-blown psychosis in which the individual loses touch with reality and experiences auditory hallucinations. With increasing doses and high frequency, the risk of psychological and physiological effects increases. Specific routes of cocaine administration can produce adverse effects like loss of sense of smell, nosebleeds, problems with swallowing, hoarseness and an overall irritation of the nasal septum, leading to a chronically inflamed and runny nose. This is most often the case with snorting cocaine. Smoking crack cocaine damages lungs and worsens asthma. People who take cocaine through injection have puncture marks called tracks, most commonly on their forearms and are at a higher risk of contracting diseases like HIV and Hepatitis C.
Cocaine use can also result in allergic reactions, and severe cases can even result in death. Use of cocaine also results in damages to other organs of the body such as reduced blood flow in gastrointestinal tract, leading to tears and ulcerations. There are also Luxury Rehab Programs for cocaine addiction that help with uncomfortable withdrawal period of the treatment. Many cocaine users lose their appetite and experience significant weight loss and begin to look starved. Cocaine affects the cardiovascular system and causes chest pain that feels like heart attacks, sending the user to the emergency room. Strokes as well as inflammation of heart muscles, deterioration of the heart’s ability to contract and aortic ruptures are other side effects of cocaine habit and addiction. Neurological problems such as intro-cerebral hemorrhage or bleeding within the brain and balloon-like bulges in the walls of cerebral blood vessels can also be witnessed in chronic cocaine users, along with movement problems like Parkinson’s disease. Attributes like cognitive functions, impulse inhibition, memory, decision making involving rewards and punishments, performing motor tasks are severely impaired with long term use of cocaine. Cocaine users who snort it are at high risk of relapse even after a long period of abstinence. Research indicates that during abstinence, memory of cocaine can trigger strong cravings that can lead to relapse. According to National Institute on Drug Abuse, acute cocaine effects such as sudden death immediately after taking cocaine can occur in cases where it is mixed with alcohol or heroin. Tolerance for the drug which in turn leads to addiction. Treatment of cocaine addiction must address both physical and psychological dependence and until both are addressed, treatment is incomplete. Physical treatment process begins with detoxification to ensure removal of every bit of cocaine from the body and start treatment fresh and clean. During this detoxification process and even after that, users can experience withdrawal symptoms including agitation, depression, exhaustion, discomfort, hunger pangs, bad dreams and slowed movements. Presently, there are no medication that are approved by the US food and Drug Administration (FDA) to fully treat cocaine addiction. However, current treatment regimens focuses on behavioral therapies that include Contingency Management (using reward system to encourage avoiding indulgence), Cognitive Behavioral Therapy (where close study is done about when the person started using cocaine, how to cope with it, what methods would help in preventing relapse) and Matrix model (therapy sessions with family, group and individual, educating them on cocaine and addiction, learning how to prevent relapse, testing them for the drug tests often, and engaging them in self-help groups). There are also Luxury Rehab Programs for cocaine addiction that help with uncomfortable withdrawal period of the treatment. These programs have facilities and amenities like internet access, spa treatments and services, workouts, private space, pool etc that are beyond the other standard treatment options. These luxury and executive rehabs cost more than the traditional treatments. Finding the right cocaine addiction rehab center is very important for success.